For those of you who have been daydreaming about holding the Samsung GALAXY Nexus in the palm of your hand, there might be one little deal breaker that is being made known. 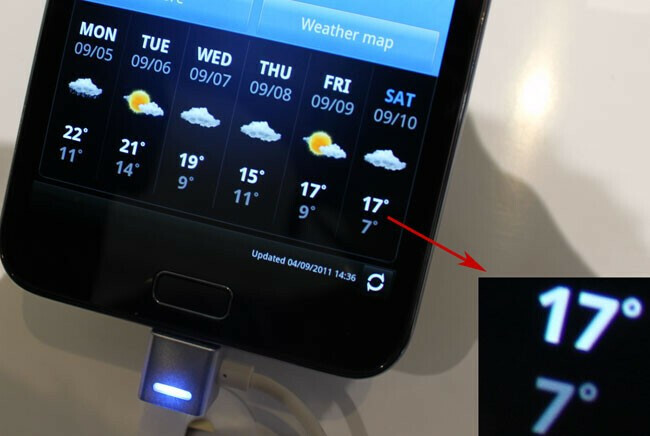 Instead of each pixel on the display having its own red, green and blue pixel like you see on a Super AMOLED Plus screen, the Super AMOLED display on the GALAXY Nexus will feature an RGBG PenTile screen. This has been the case with every Nexus device launched. 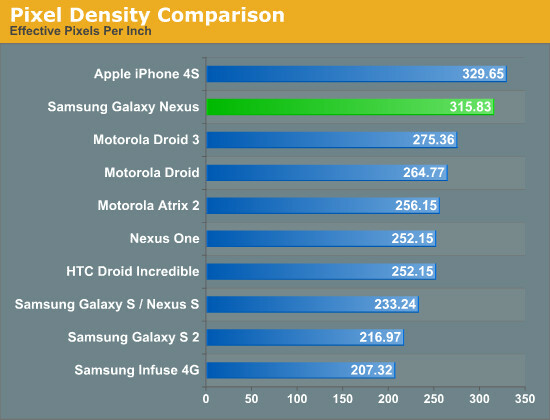 Even though PenTile displays have had a bad reputation due to lower sub-pixel density, color resolution and sharpness, the good news according to AnandTech is that if you liked the pixel density on the Samsung Galaxy S II, you will probably be happy with the display on the Samsung GALAXY Nexus. On the other hand, because the handset isn't being made available yet, FlatPanelsHD is using the Samsung GALAXY Note as a stand-in for comparison reasons since its display will basically offer similar displays. In its report, FlatPanelsHD says that if you look straight into the screen, there should be no problems, Turn you phone to either side however, and the display gets washed out in a sea of blue and greens. According to the report from FlatPanelsHD, the Samsung GALAXY Nexus has a PPI of about 200 and they calculate that a PenTile panel would require a PPI of 420 to qualify as a Retina Display. They say that the display on the phone is not anywhere near as awesome as everyone expected. Is this a deal breaker for anyone? Yes it is a deal breaker, granted ICS will be nice to have but the display on the SGSII I think is nicer and also the display on the new Moto Razr granted its a lower resolution will probably be more crisp as long as its not another pen tile. If it is then blah I'll stick with the SGSII.. The camera however seems interesting on the Nexus so I am going to have to wait and see.. The RAZR is not PenTile, it's full RGB. Where are you getting that information from? 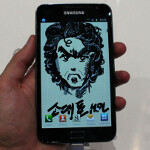 As far as I know, qHD isn't possible yet on a 4.3" Super AMOLED+ panel. The presentation called it "Super AMOLED Advanced". I think "Advanced" just means qHD, whereas Super AMOLED is WVGA. as far as i know samsung has not liscenced out the RGB screen that it uses on the galaxy2. it tends to save the best for in house stuff. As far as pentile goes, its not that big of a deal. My pentile display on my vibrant is much lower PPI than that and i barely ever notice. On a screen that size, your not going to have much need of sticking your nose on the screen to see things.. at which point you would notice the pentile. At normal ranges u cant tell the difference. Samsung have only been giving away there super amoled and no amoled+ which they only keep for themselves...razr screen is pentile but no one has yet complained...with smiled pentile is not as bad as on regular LCD pentile displays. Aww pentile made you smile! See, it's not so bad. Above, one of the best rap albums ever made. It's just PA blowing things out of proportions again. If this site didn't have cellphone news, I would've stopped coming a long time ago. Crapsung suxx. Would've been better if it's HTC made. LOL you're funny. It's not Samsung's fault. Nexus phones have always used Pentile. Don't forget the first Nexus was a pentile with HTC. And HTC buys their S-LCD panels from Sony. Like Apple, HTC doesn't make their own parts, they just assemble them into an attractive package with nice software. Yeah I was just stating that the first Nexus had a pentile display and HTC was the brand. Should have been a reply to arcq12's post. Just saying we should give credit where credit's due. HTC doesn't make their displays, and I think they would have kept using Samsung's screens if they hadn't been burned by the AMOLED shortage during the Incredible launch. I know HTC dont make their own parts such as the displays but can't they get a license of some sort from samsung to use super amoled just like what moto did for the RAZR? HTC could've made the nexus better than what it is right now..
Moto isn't licensing Samsung's SAMOLED tech, they're buying screens from Samsung's display arm. Not a bad move if you ask me. I don't think HTC will use Samsung displays since they got screwed by display shortages on the Incredible. Besides, the S-LCD displays they've been getting from Sony are better in some areas than SAMOLED. so what you're saying is if the nexus has been using pentile it will not be subjective for a change? This thing is completely overrated, the camera is only 5MP, the CPU is one of the weakest dual-cores and the display isn't super-high-res, couple that with the $399 on-contract then The only good thing about this is ICS. megapixel means absolutely nothing. 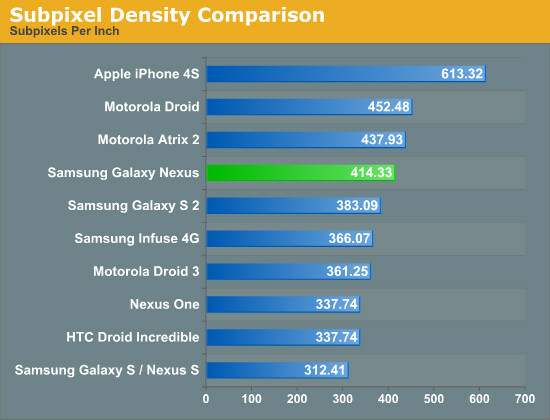 OMAP is the 2nd strongest dual core to only the Exynos what other phone has a higher rez than 720p? oh.. none does. no one has announced pricing yet, and no phone has ever been 400 in the US on contract. He has a bit of a point there about the CPU. It's rather shocking to find out that Samsung did not go with the 1.5GHz dual-core which it has used on some of the SGSII variants with certain carriers. If they did, they would've beaten out Moto's Razr hands down.